A new light-base d treatment system has brought together the applications of most existing machines in one device, and at the same time has made it possible to treat a large skin area in a single shot. 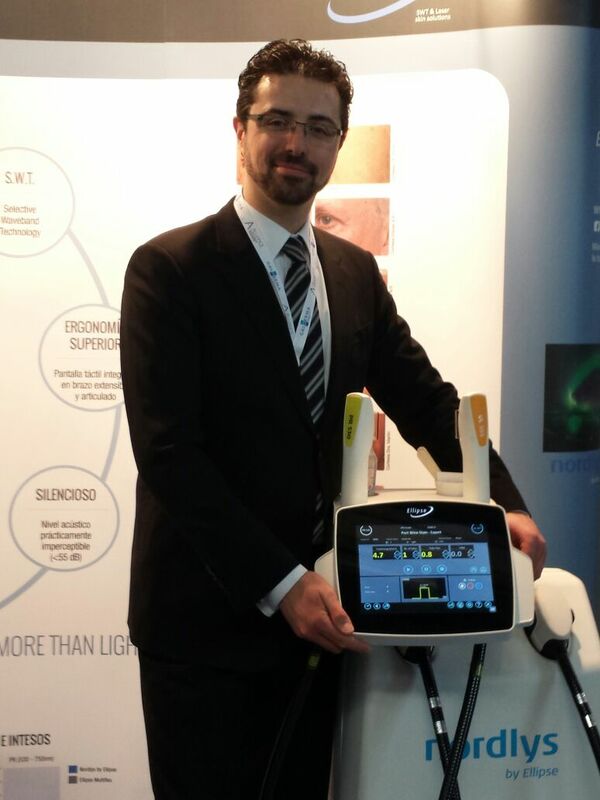 “This is the greatest progress in aesthetic light treatments in many years”, the professor says. Since the picosecond laser for tattoo removal came on the market some years ago, there have been few new technical developments in light-based systems. But now the drought is over, according to Professor Peter Bjerring of Mølholm Private Hospital. In January a new Danish-made system, combining laser and IPL entered the market, and it can amongst other things replace the current, expensive pulsed dye lasers. The system is called Nordlys, and it is a like a ray of sunshine in light based treatments, said Peter Bjerring, who is talking of the benefits of Nordlys in a session on lasers at the EADV congress. Since 1993, when IPL was introduced for the treatment of blood vessels, different filters of the light produced have made it possible to treat abnormal or unwanted hair growth, pigment irregularities together with scars and photorejuvenation. Filtering the light enables a selective absorption in either hemoglobin, melanin or less specifically in interstitial fluid. In addition to IPL, Nordlys has an infrared laser for treatment of large vessels and a fractionated laser for acne, scars and skin ageing. By doing so, Nordlys combines the treatment possibilities that otherwise would require several different lasers, into one device. “There are clear economic and spatial advantages in using a single device. 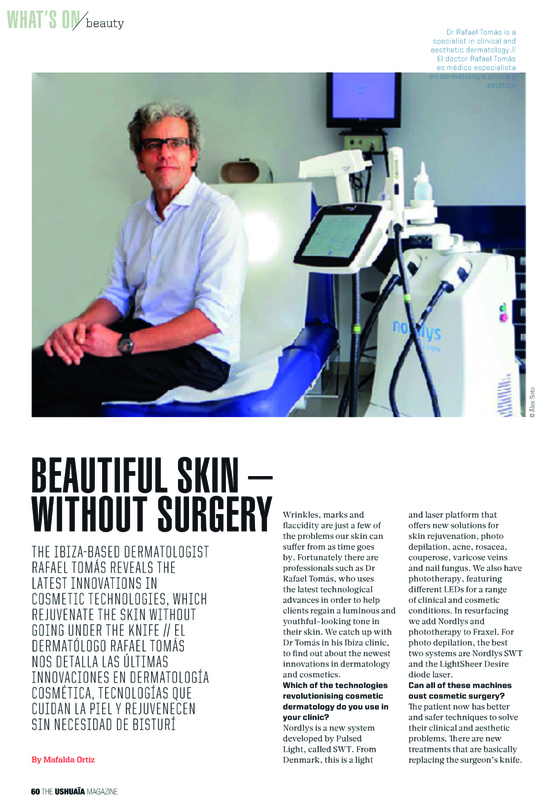 It means that more dermatologists can in future offer treatment with IPL and laser, and many more patients and receive these treatments”, says Peter Bjerring. Nordlys can be used for both the treatments of dermatological and aesthetic conditions. At Mølholm Private Hospital they have been using Nordlys for this since January. “While some of our earlier lasers have been heavy and inflexible in use, Nordlys is much more ergonomic. My staff value the fact that their arms do not get tired working with the equipment”, says Peter Bjerring. IPL systems, including Nordlys, cannot remove tattoos. But Peter Bjerring points out that the technology for tattoo removal is still not ideal. ”The picosecond laser made it possible to reduce the number of treatment sessions from approximately ten to four or five. However, the system costs over one million kroner, so only a few Danish clinics can afford it. We miss good cheaper alternatives, so we can help the 30% of those with tattoos who regret them”, he says. Nordlys is manufactured by the Danish Company Ellipse, who produces light-based devices for use in medicine. El Dr. Naranjo nos explicó la extraordinaria evolución de la luz pulsada intensa liderada por Ellipse con la innovación de los pulsos en sub-milisegundos (0,5 ms). Este tipo de tecnología que ofrece la nueva y revolucionaria plataforma lumínica Nordlys by Ellipse, tendría que haber llegado al sector mucho antes ya que se lleva buscando desde hace años. Se trata de la posibilidad de tener tecnología más eficiente; y la eficiencia pasa por tratamientos complejos como cromóforos claros, vasos muy finos y pelo fino y de poco color. Nordlys supera los límites establecidos y se iguala al láser de colorante pulsado (PDL) ofreciendo duraciones de pulso más cortas e intensas en luz no coherente desde 0,5 ms a 99,5 ms.
Permite tratar los cromóforos más claros y resistentes inalcanzables hasta el momento. Abre la posibilidad de nuevos tratamientos gracias a la combinación del Modo de Filtración Dual y la luz entregada en forma de pulsos en sub-milisegundos. Ya tenemos el futuro de los pulsos cortos en Selective Waveband Technology (SWT) – Antes llamada I2PL de Ellipse. Futuras nuevas aplicaciones en dermatología. Resumen de la ponencia del Dr. Pablo Naranjo (Clínica Élite Láser – Madrid) en el congreso de la SEME 2015. Nordlys by Ellipse: El pulso más corto del mercado en Selective Waveband Technology (SWT). El Dr. Naranjo hizo un repaso de las características principales que diferencian el equipo ELLIPSE MULTIFLEX+ del resto de equipos de “IPL”. – Tecnología patentada de Modo de Filtración Dual (Filtro de color y de agua en el aplicador). Elimina no sólo las longitudes de onda ultravioletas, sino también la parte dañina de la luz infrarroja, pudiendo seleccionar la banda de emisión según el cromóforo objetivo de forma precisa y selectiva sin alterar el tejido circundante; de modo que el paciente recibe una carga térmica inferior. – Modo experto. Donde el médico puede customizar totalmente los pulsos de forma ilimitada pudiendo descubrir nuevas aplicaciones y establecer sus propios parámetros de tratamiento. – Parámetros preestablecidos óptimos. Para los que están empezando; obteniendo resultados seguros y efectivos.